A group of students fromn the Clemson University in South Carolina (USA) has built a 600-hp (447-kW) strong Honda Civic Deep Orange 9 suitable for participating in rally championships. The project took two years to complete and received financial backing from Honda. The car ended up getting a hybrid drivetrain including a 2.0-liter turbo engine rated at 400 hp (298 kW) and an electric motor contributing another 200 hp (149 kW). The former drives the rear wheels, whereas the latter hooks up with the front ones. 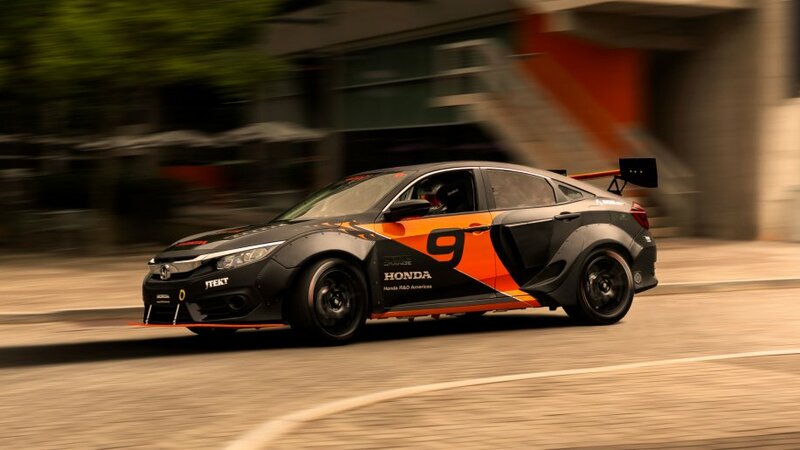 With equipment like this, the Honda Civic Deep Orange 9 accelerates 0-100 km/h in barely more than two seconds. Among other things, the car features regenerative braking, semi-active adaptive suspension and a custom AWD system. The rally version of Civic also sports fender flares, a front splitter, a massive rear wing and black brake calipers.